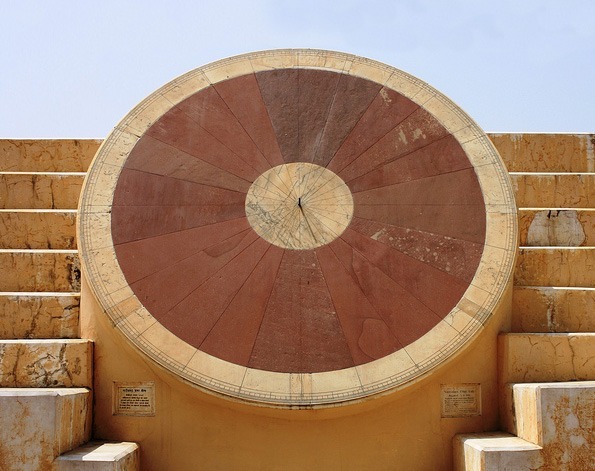 Maharajah Sawaii Jai Singh II of Jaipur set up five astronomical observatories in North India in the early 18th century. 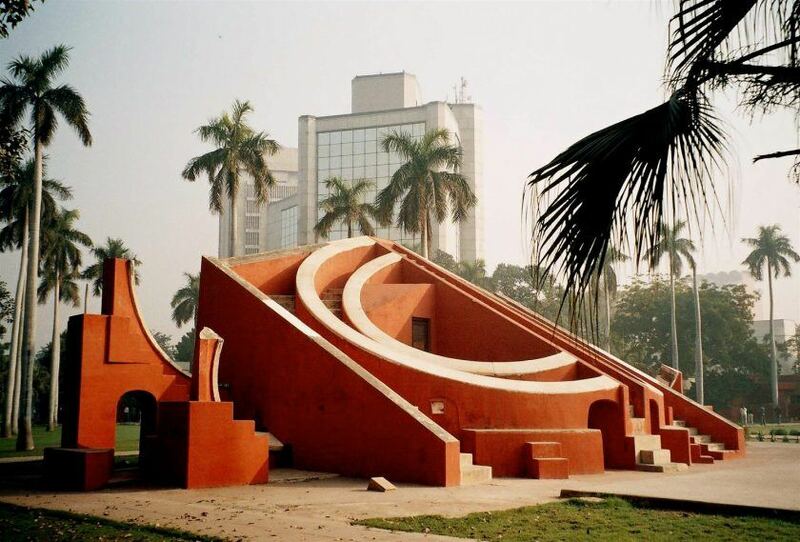 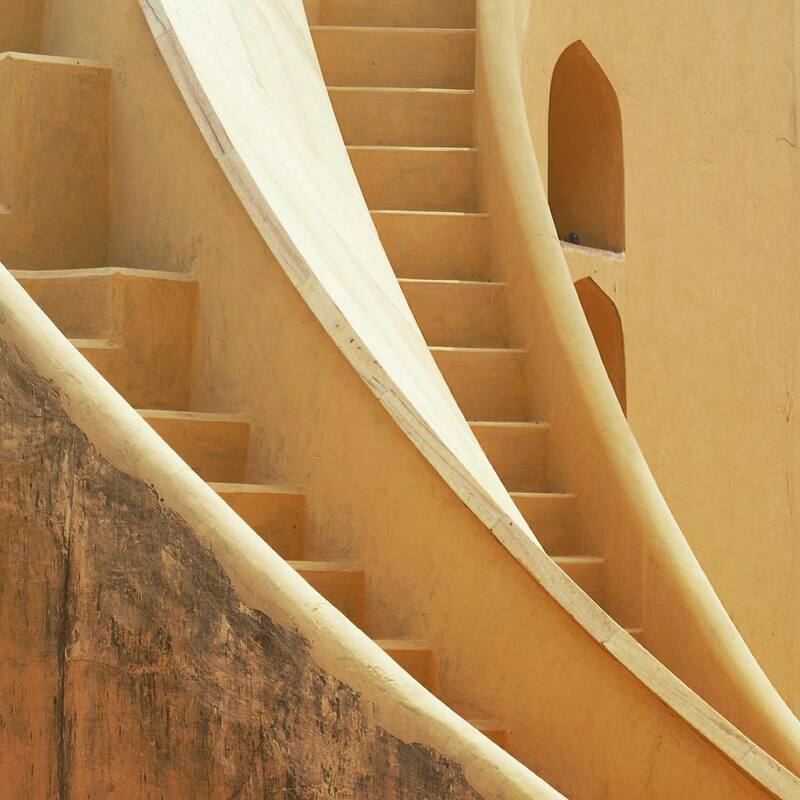 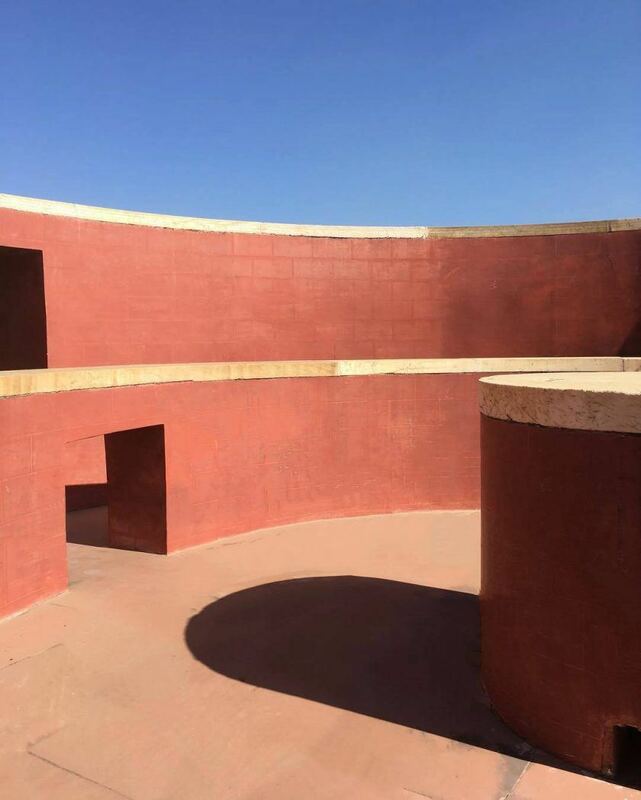 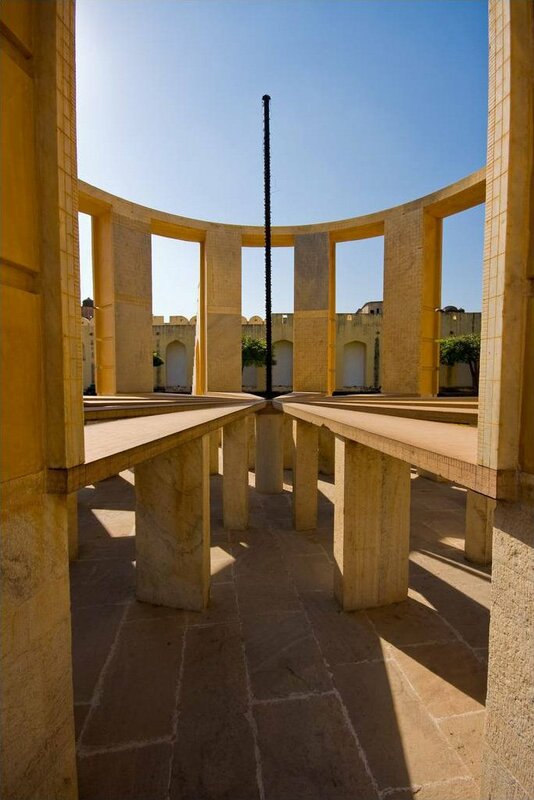 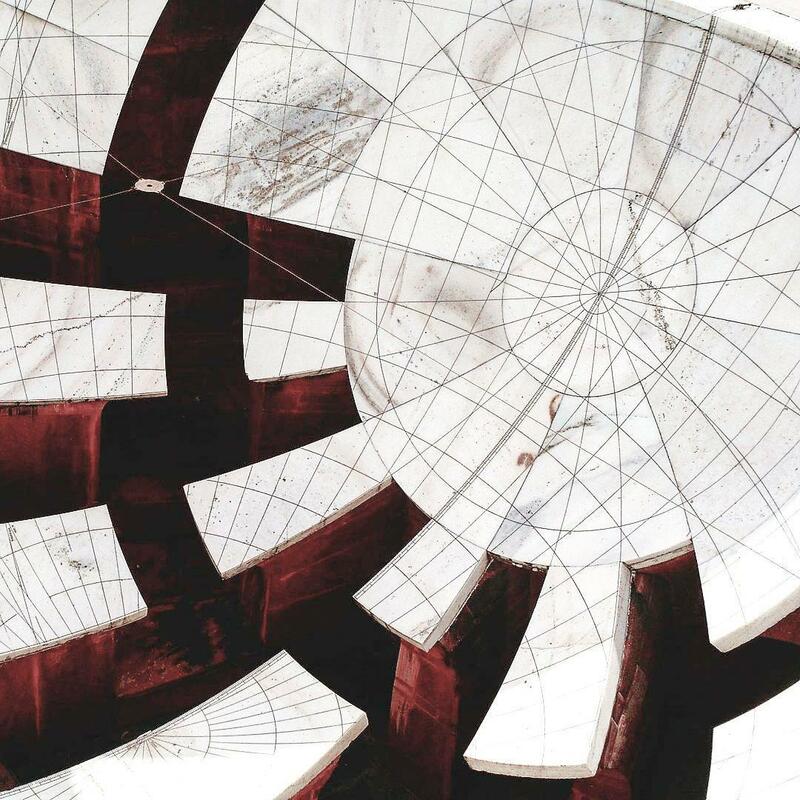 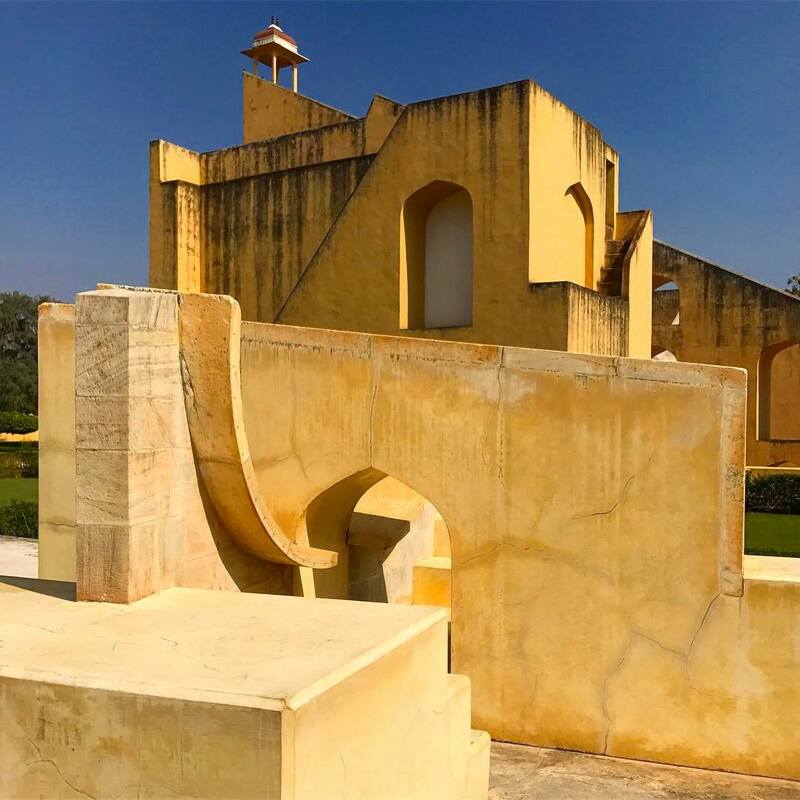 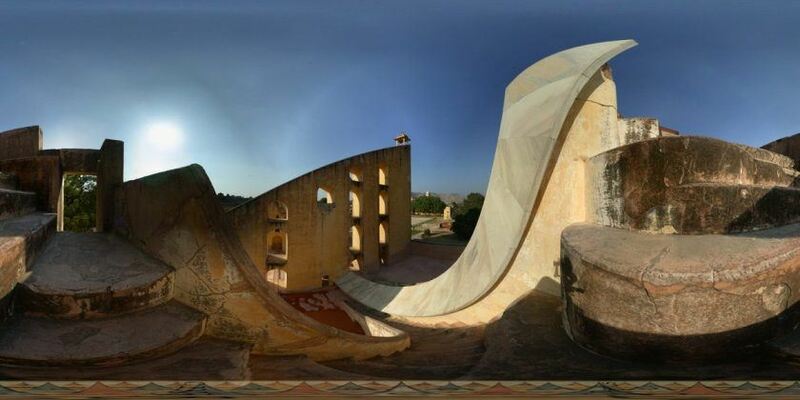 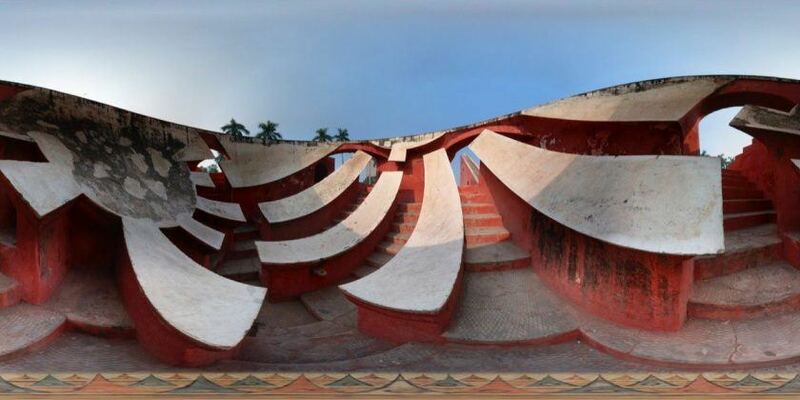 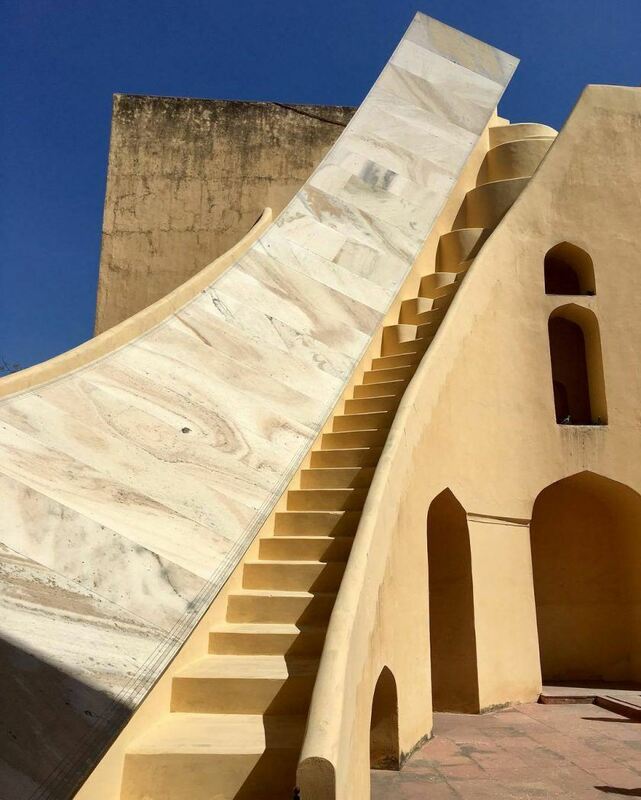 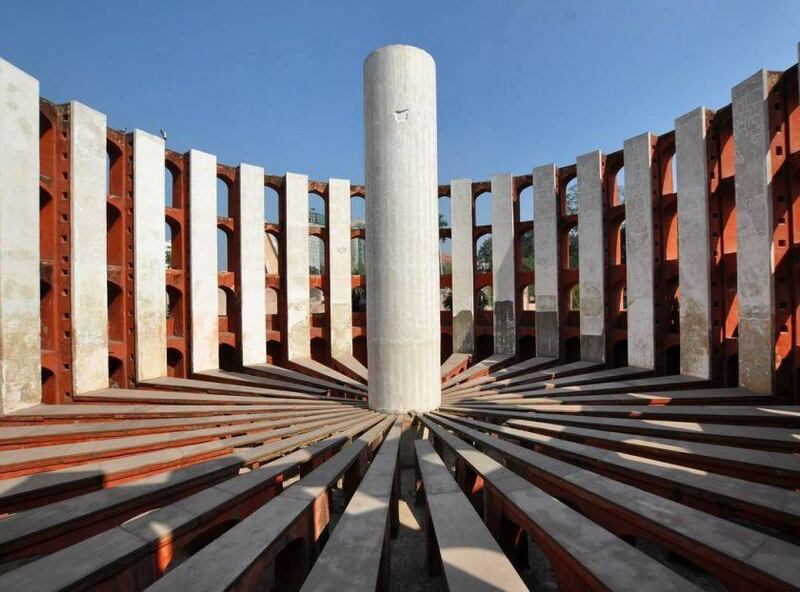 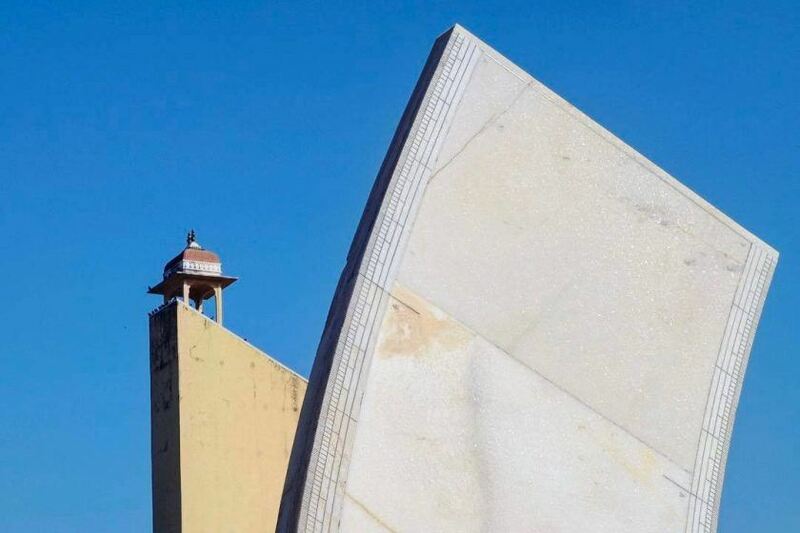 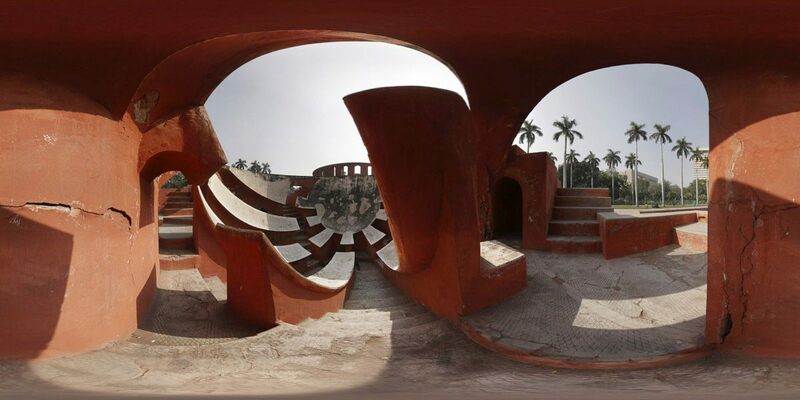 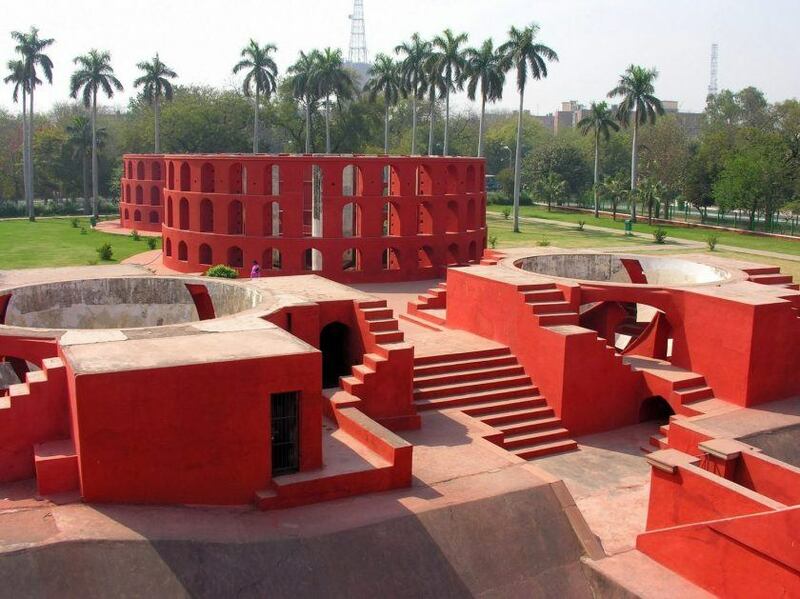 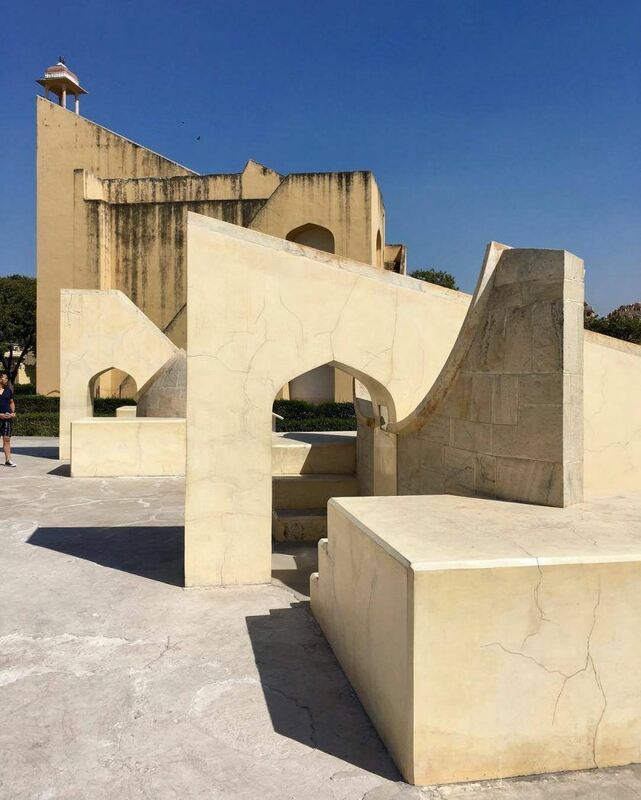 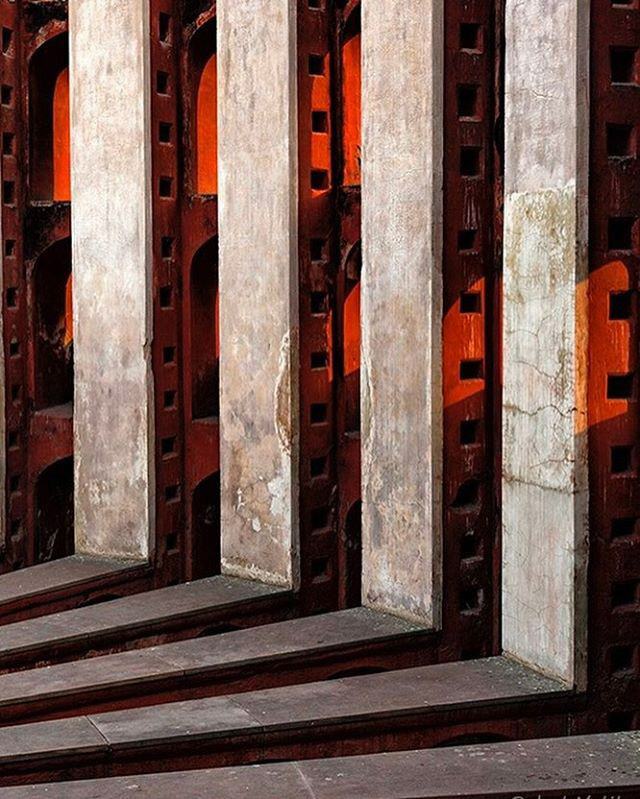 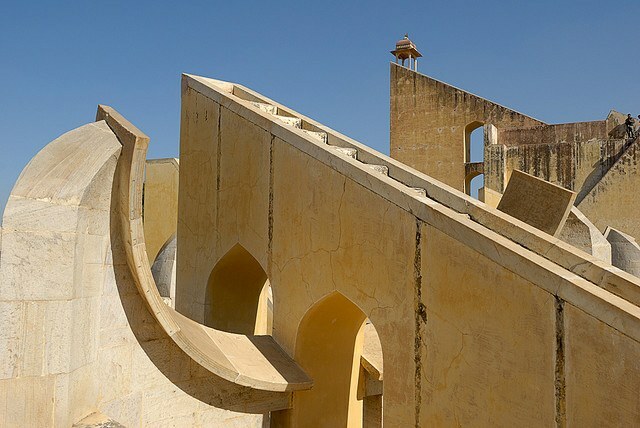 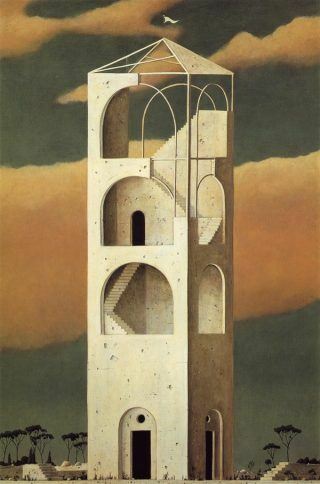 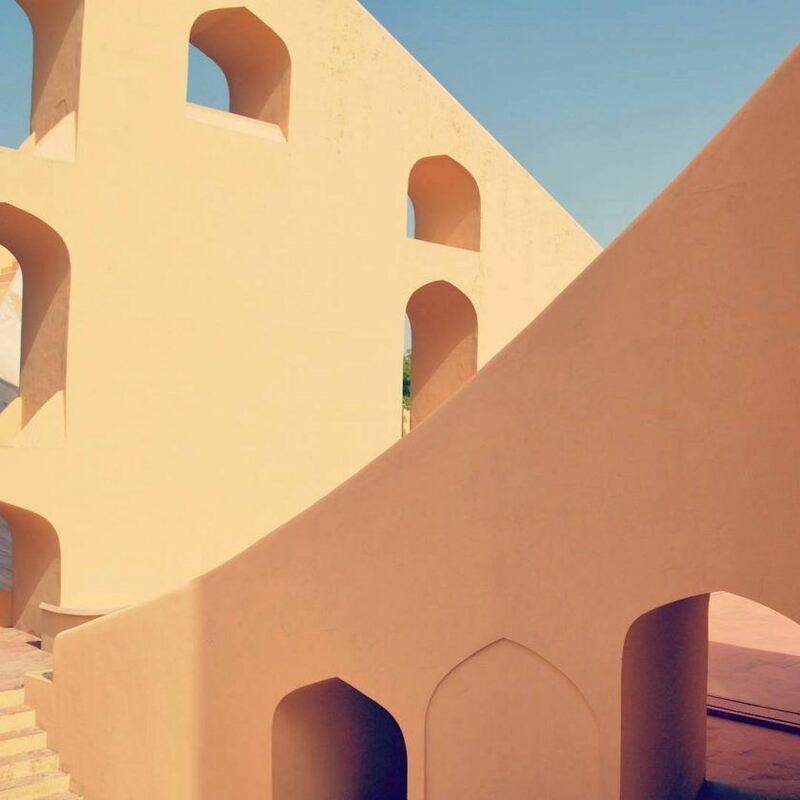 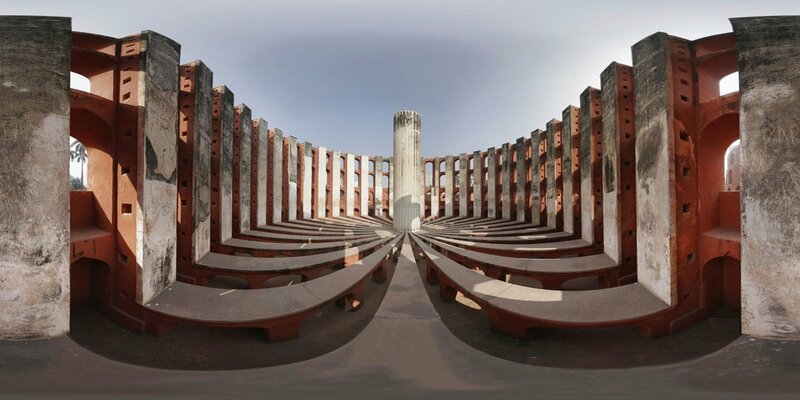 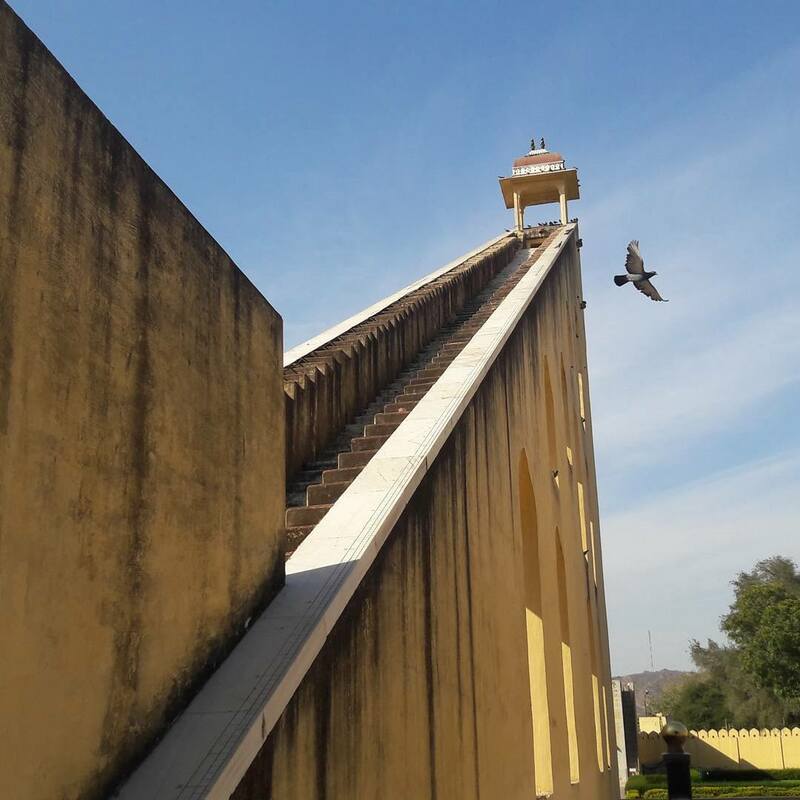 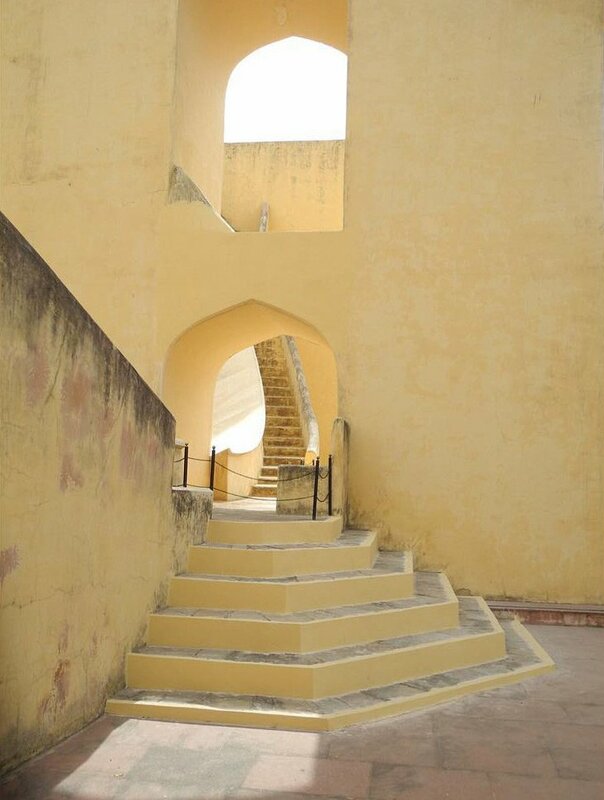 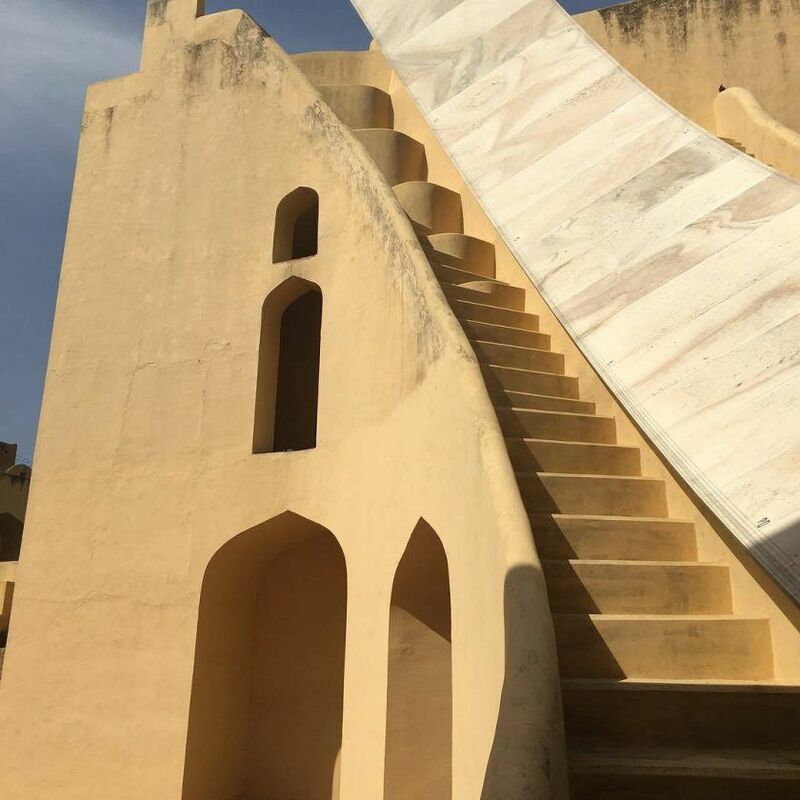 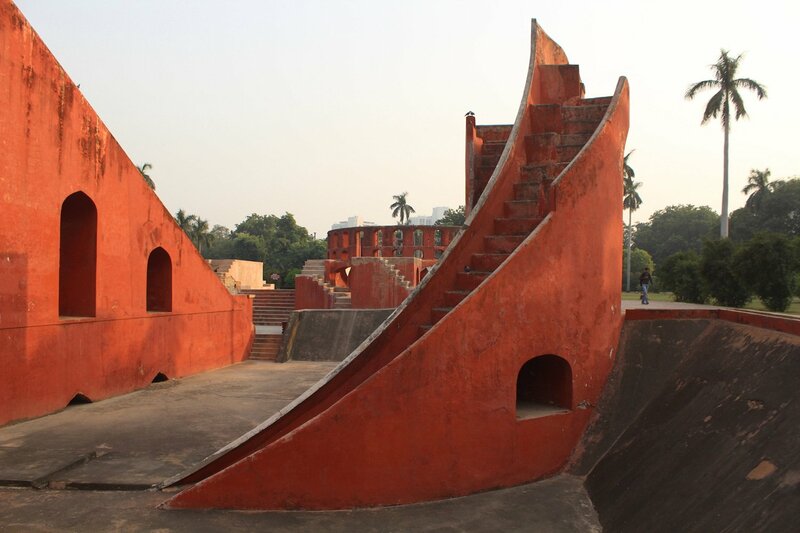 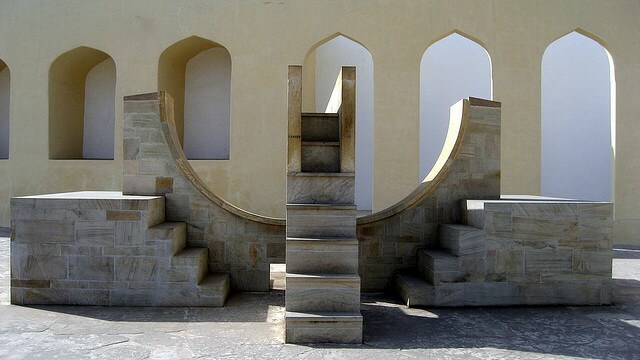 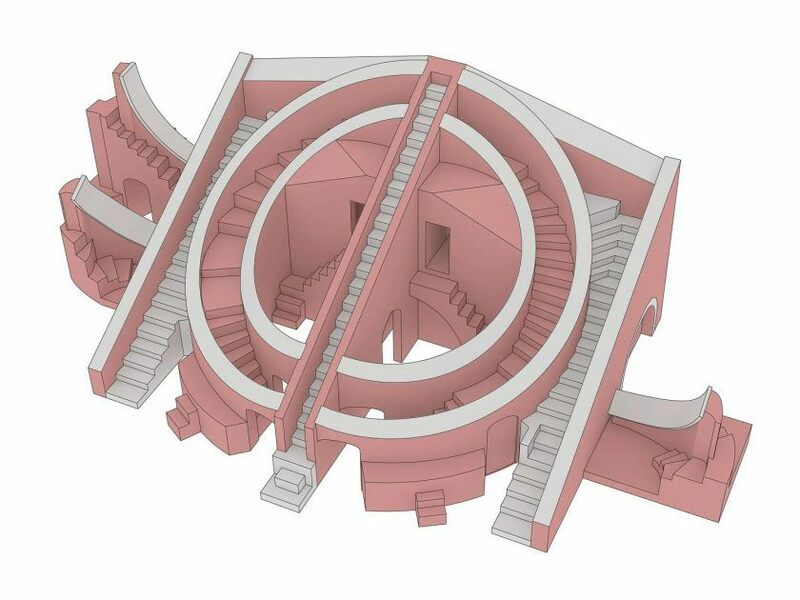 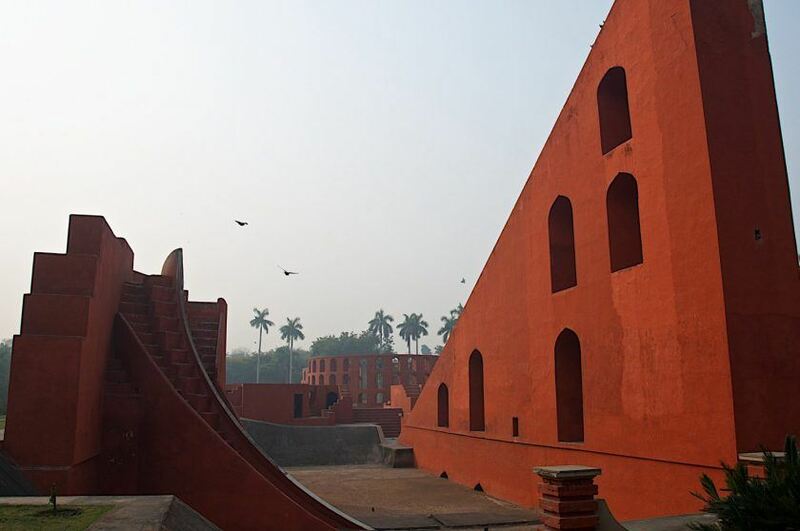 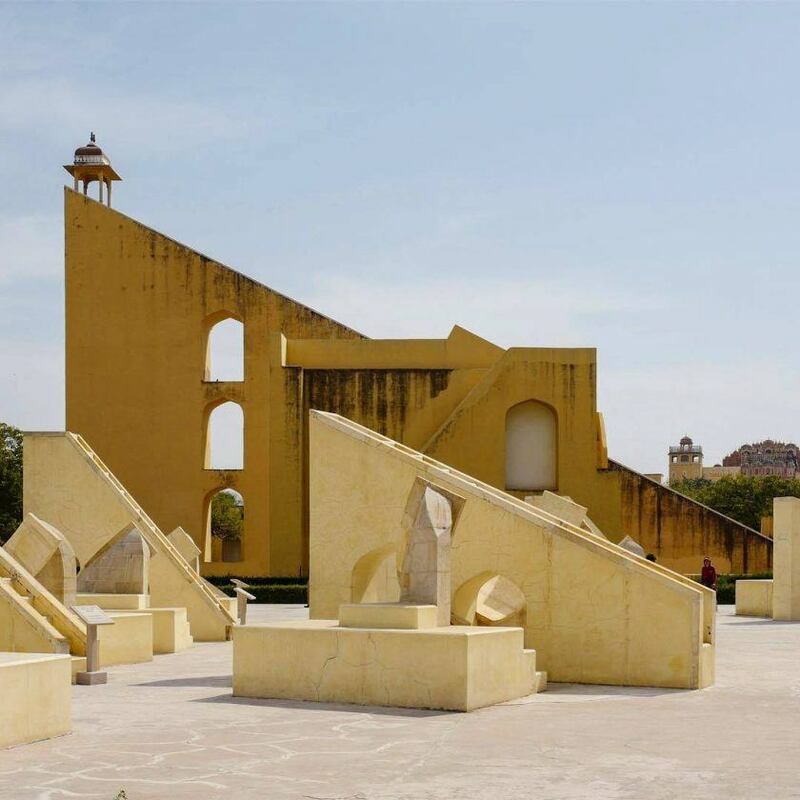 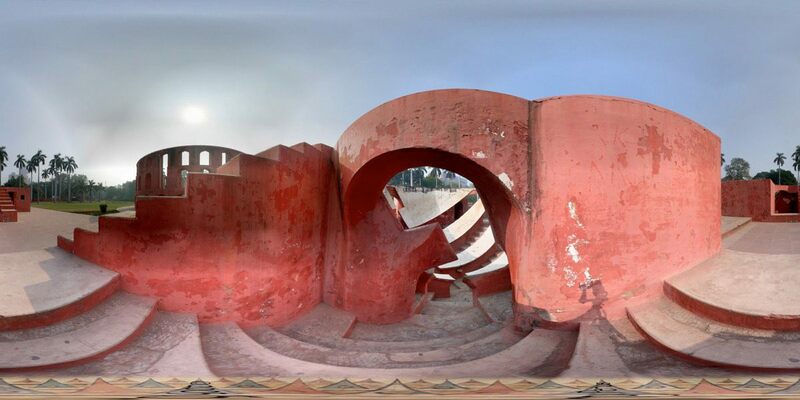 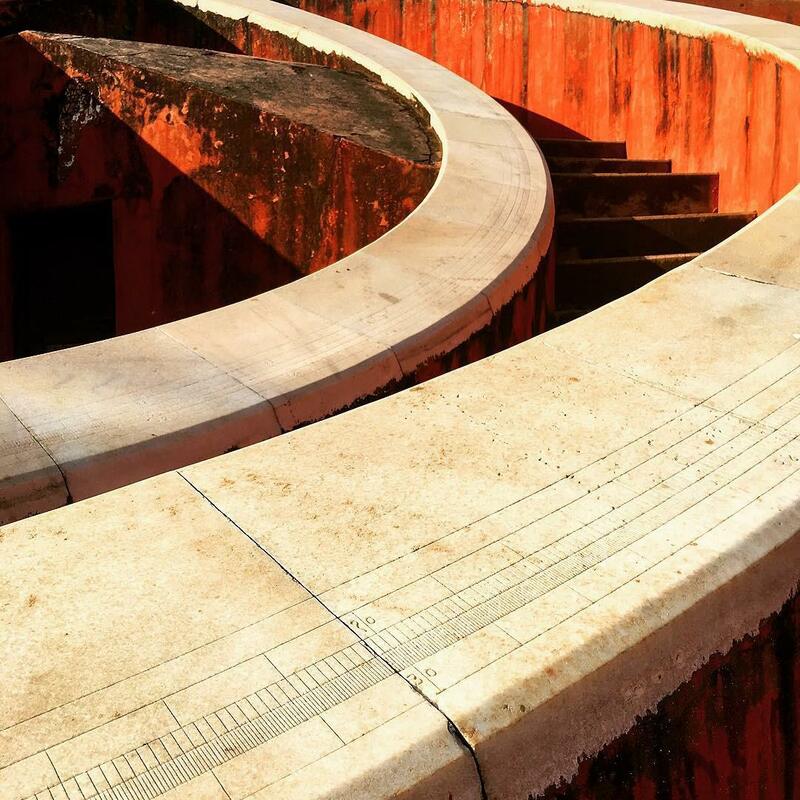 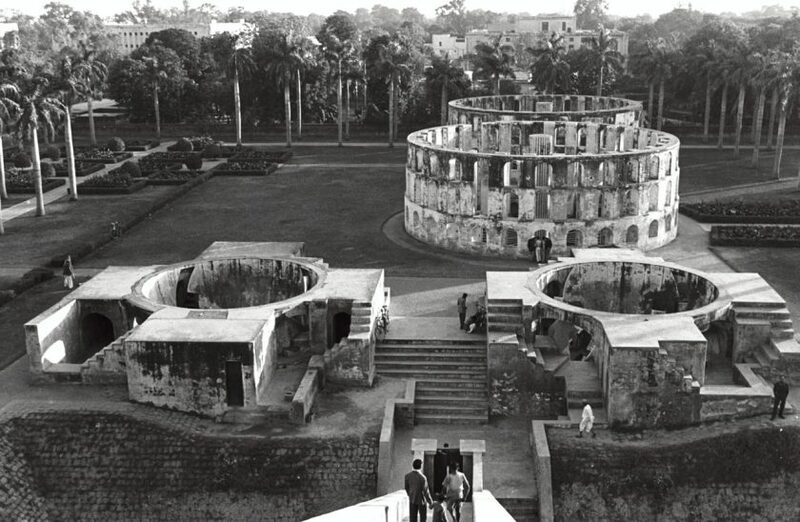 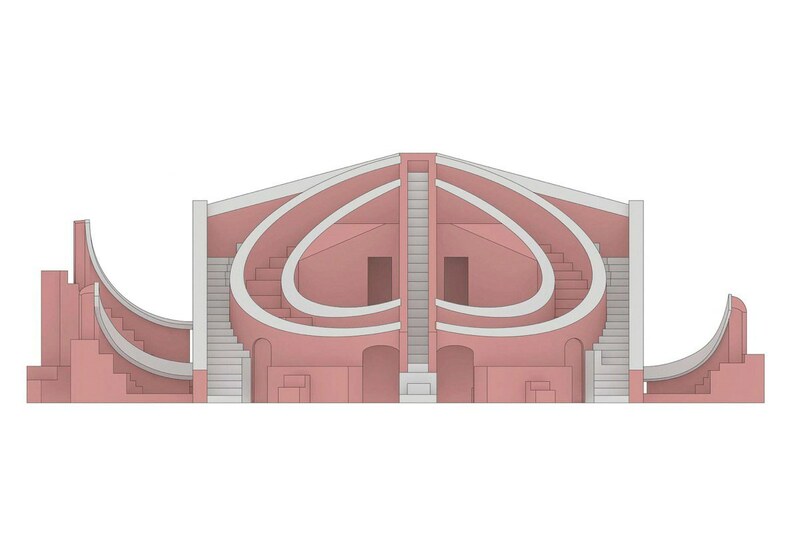 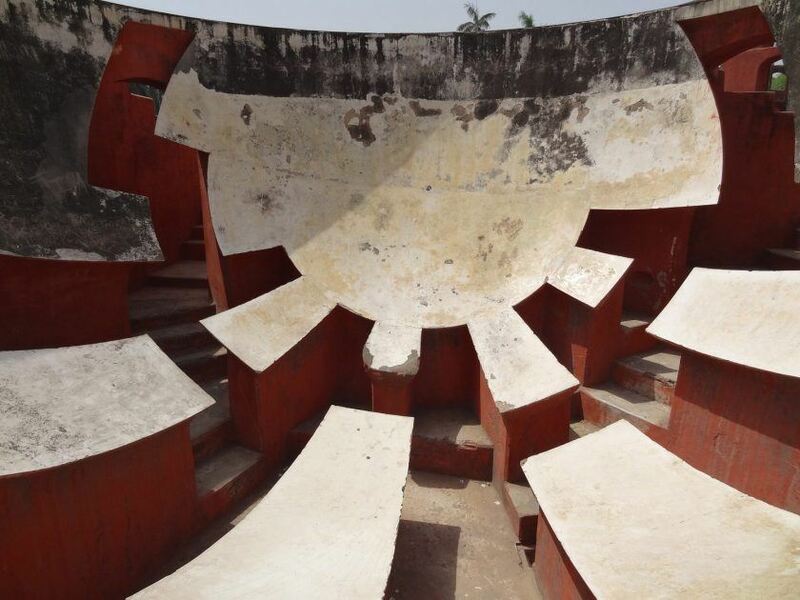 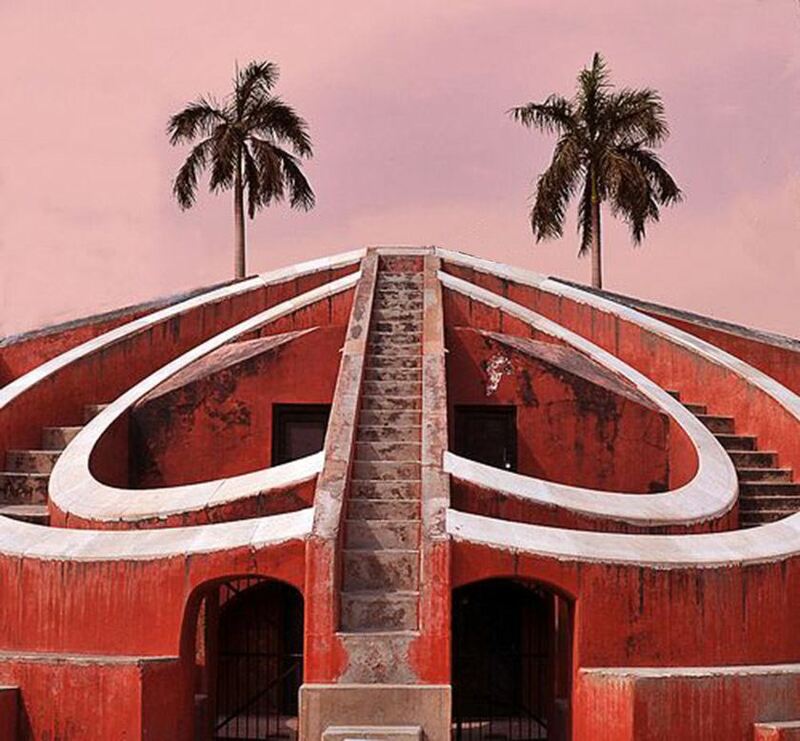 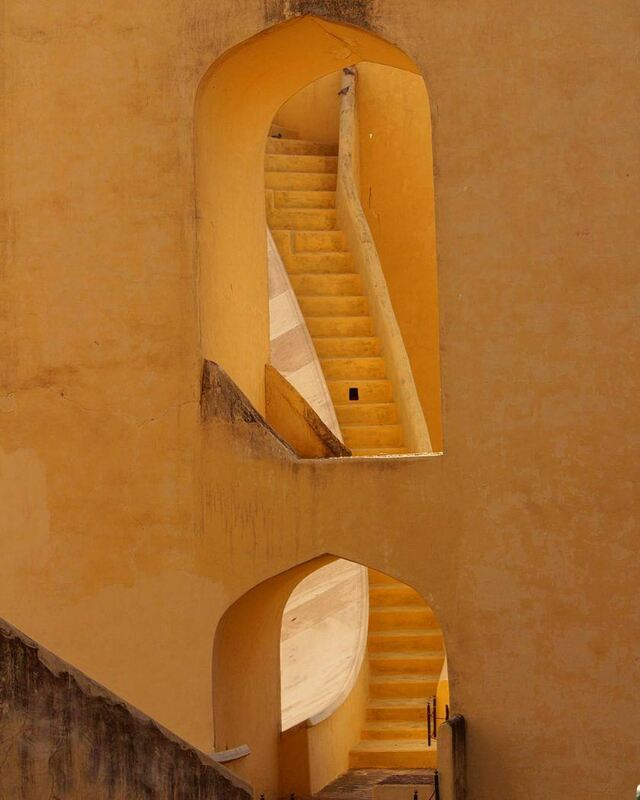 Known as Jantar Mantar (Sanskrit, translating loosely to “Magical Device”), these open-air campuses were comprised of astronomical instruments built on a grand architectural scale. 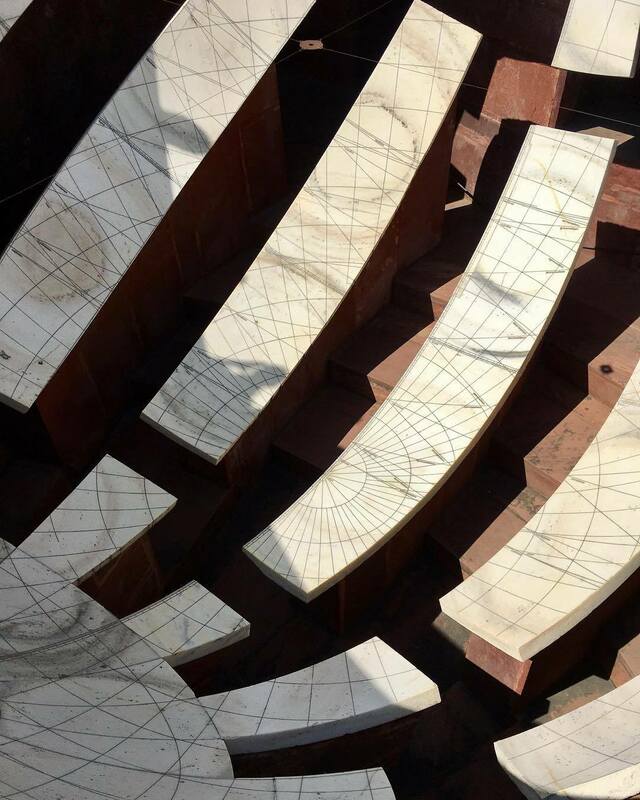 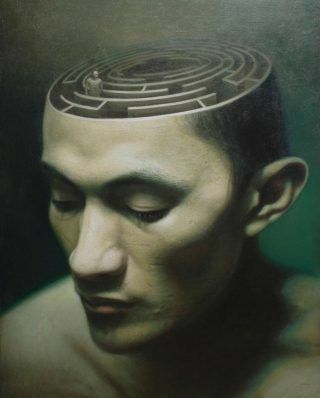 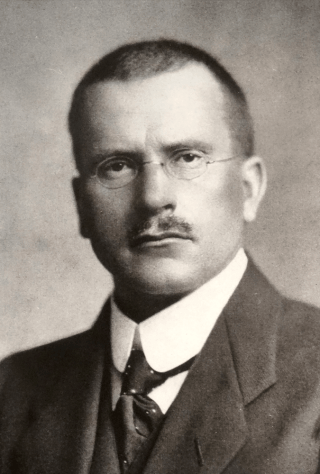 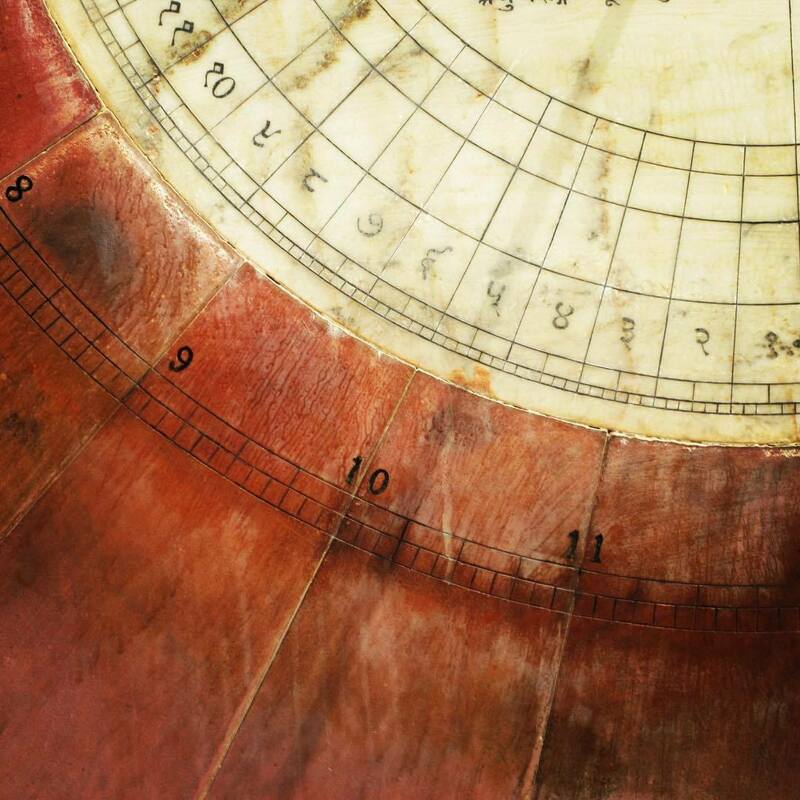 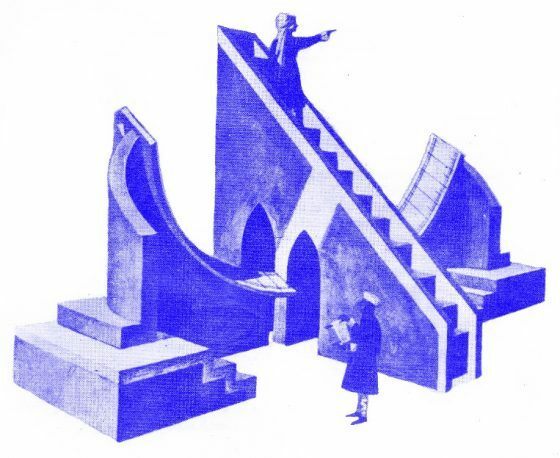 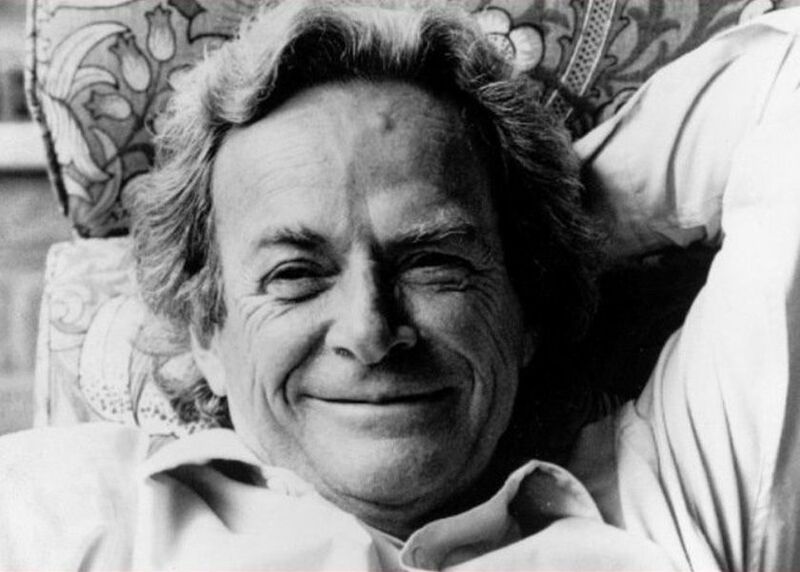 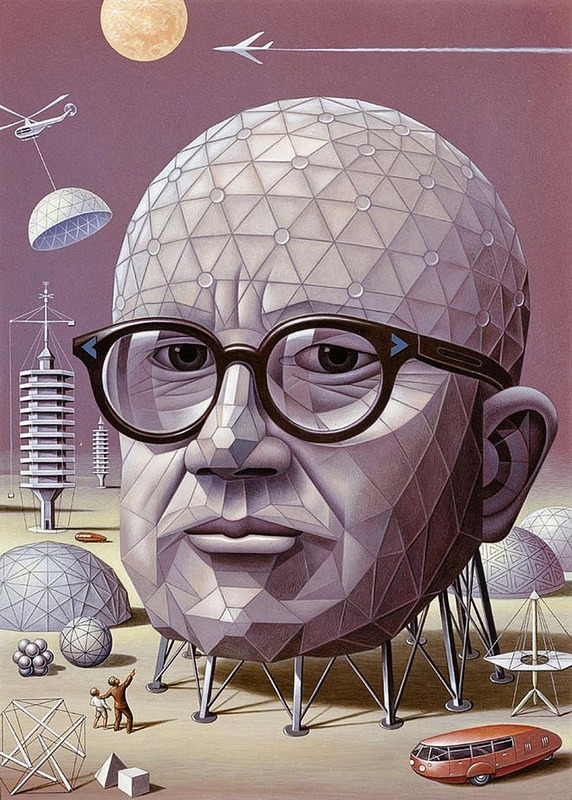 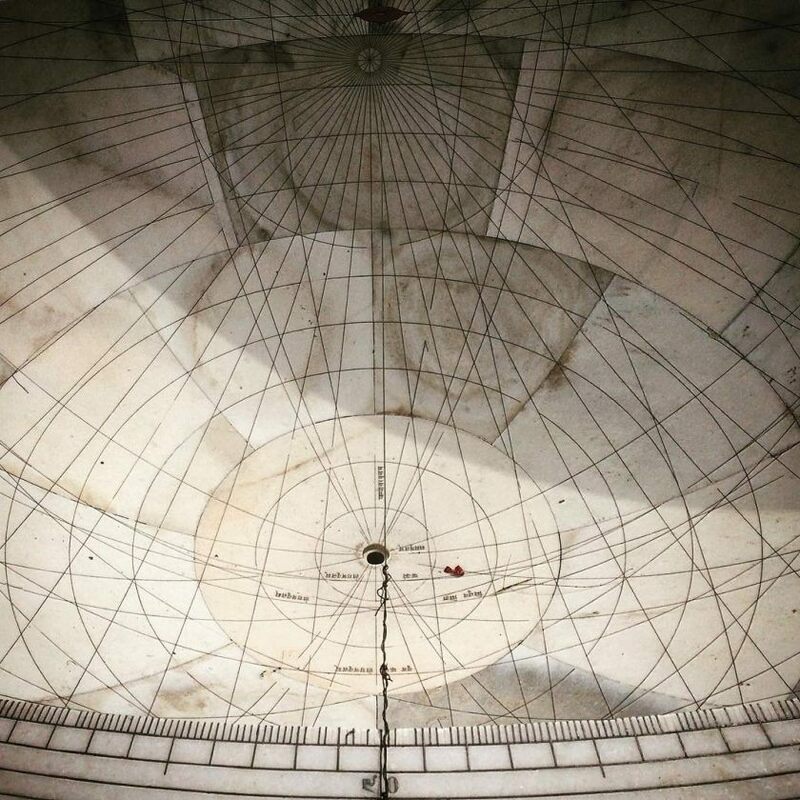 Individual structures measured solar time, the celestial paths of the sun and moon and the latitudes and longitudes of planets and constellations, among other functions. 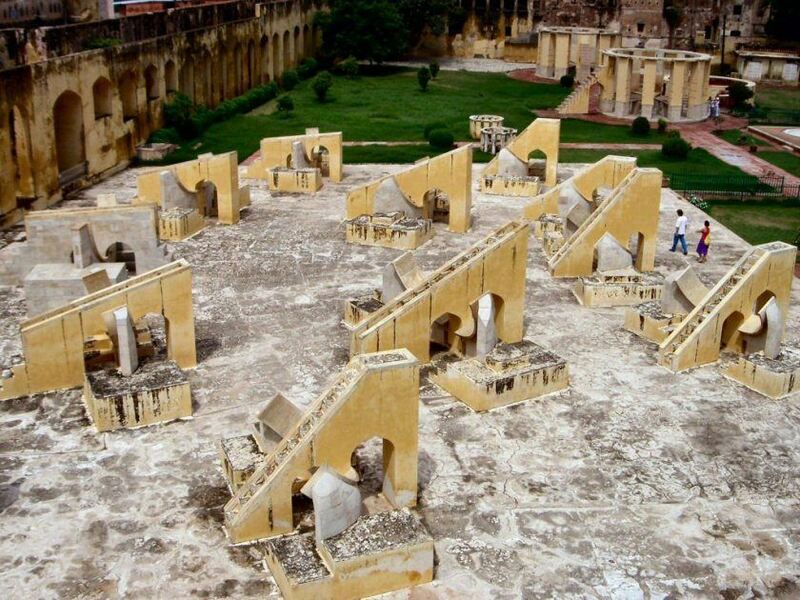 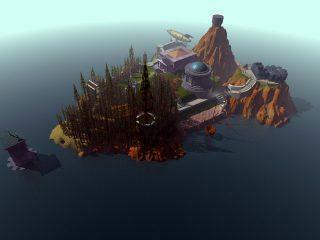 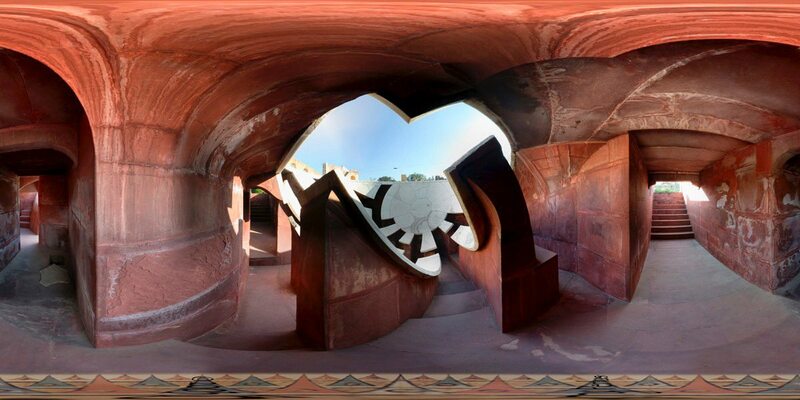 Archeoastronomy found ancient sites of astronomical significance all over the world, since all cultures try to locate themselves in time and space. 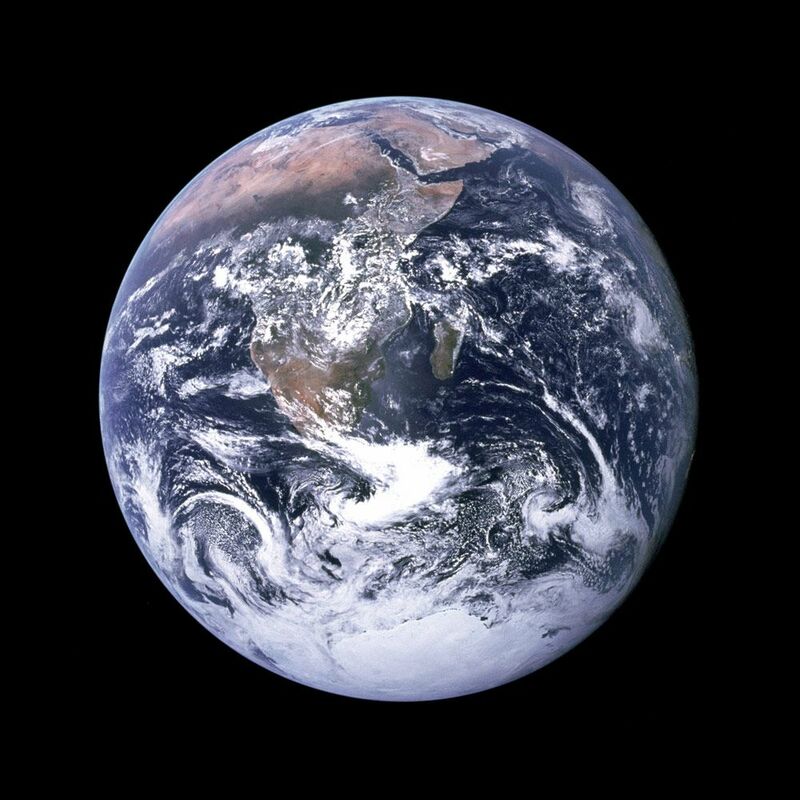 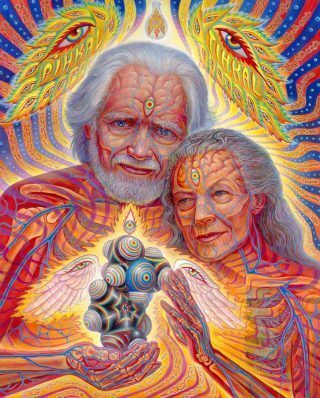 Looking up at the vast heavens, the celestial play reminds us night after night that we are part of this unfathomable universe. 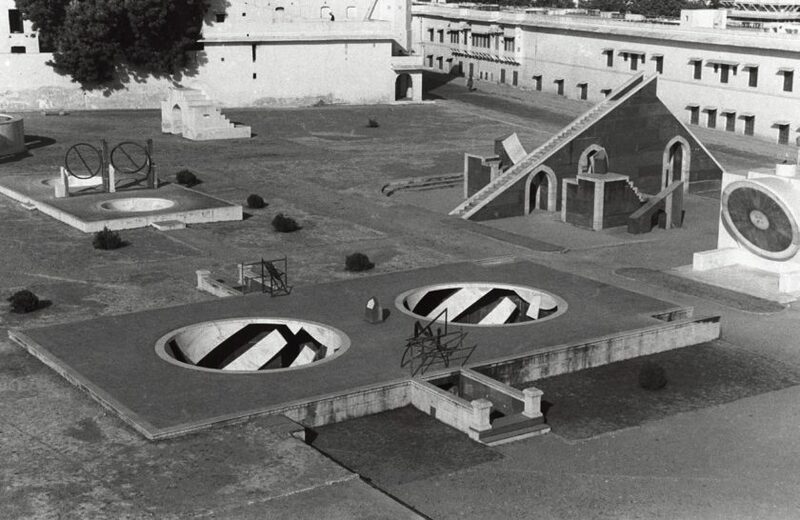 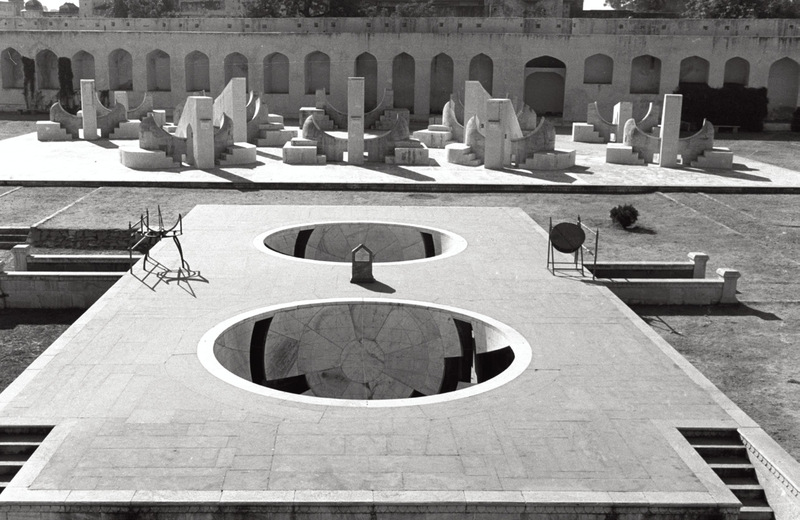 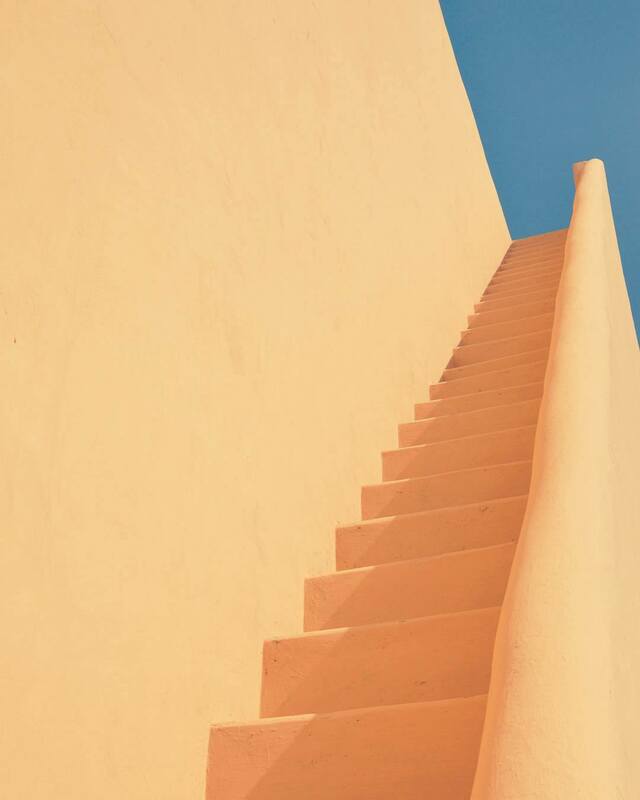 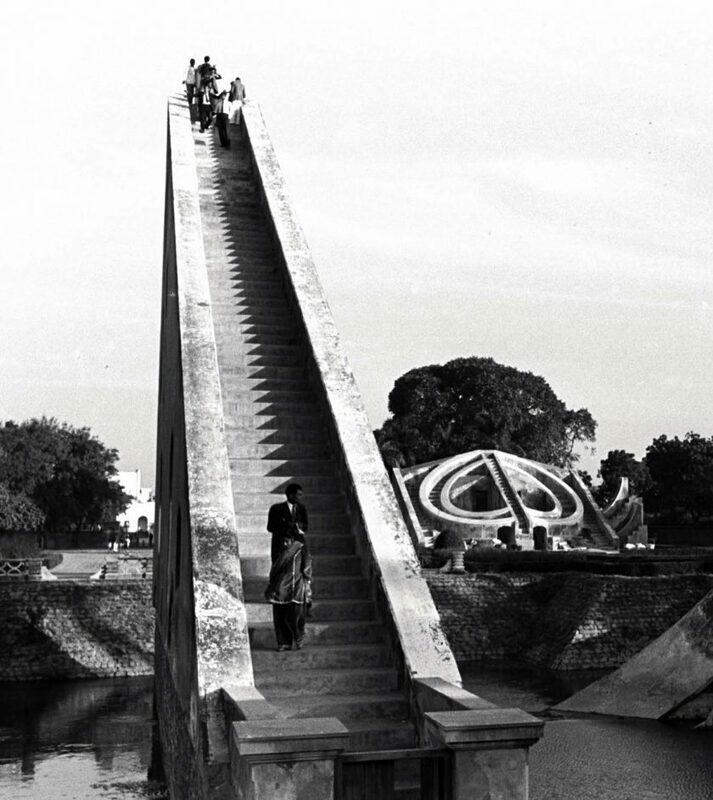 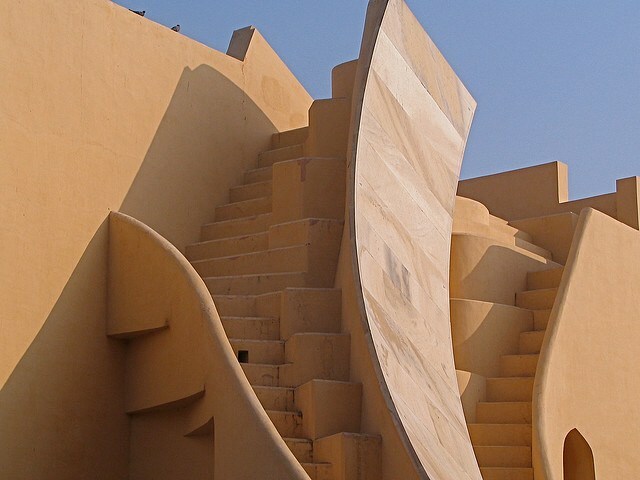 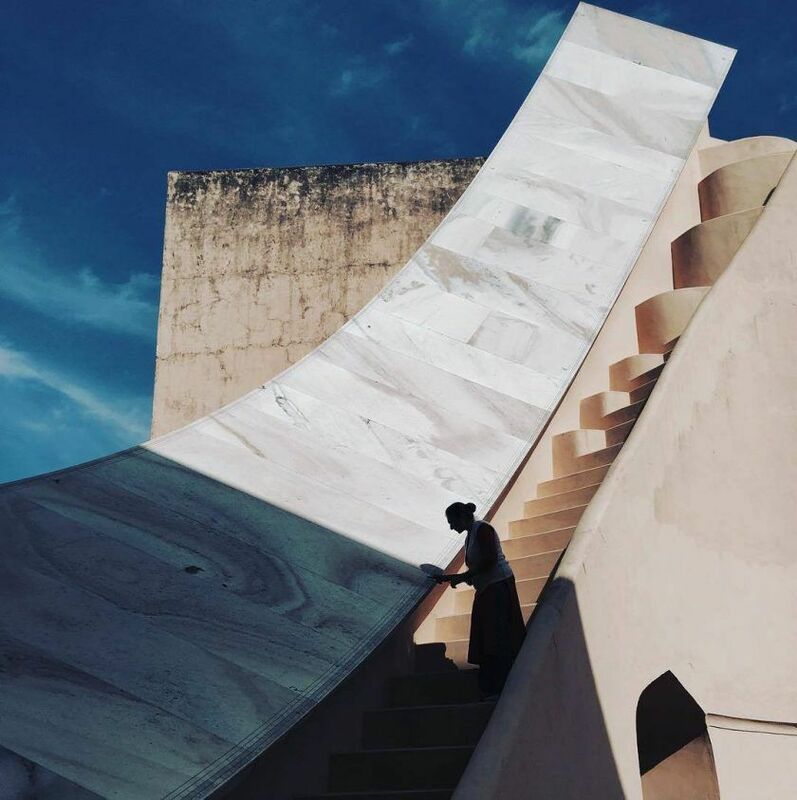 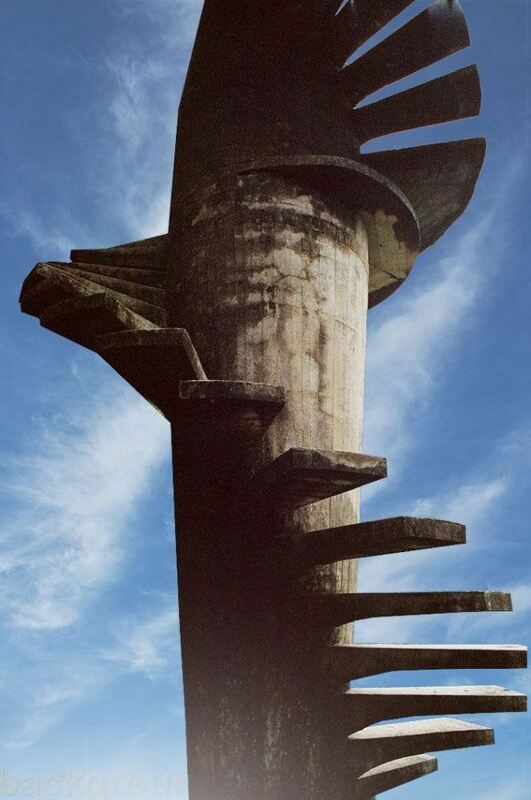 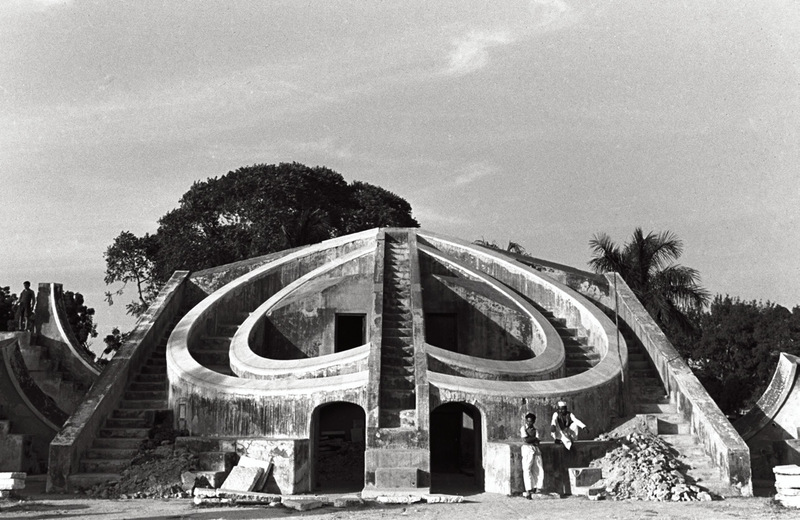 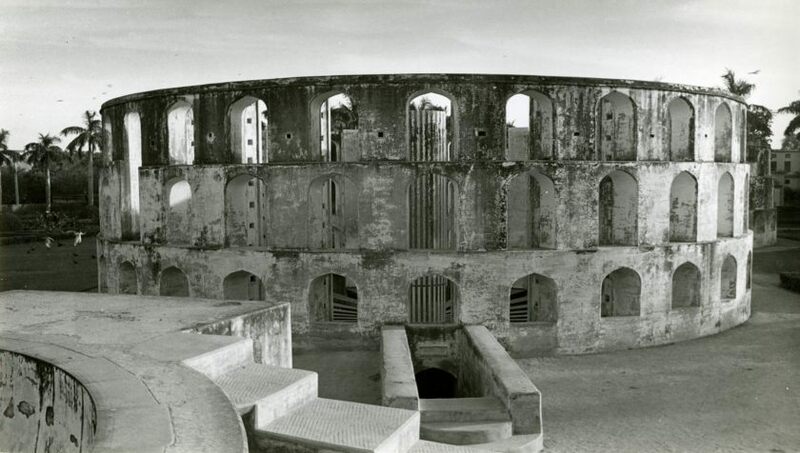 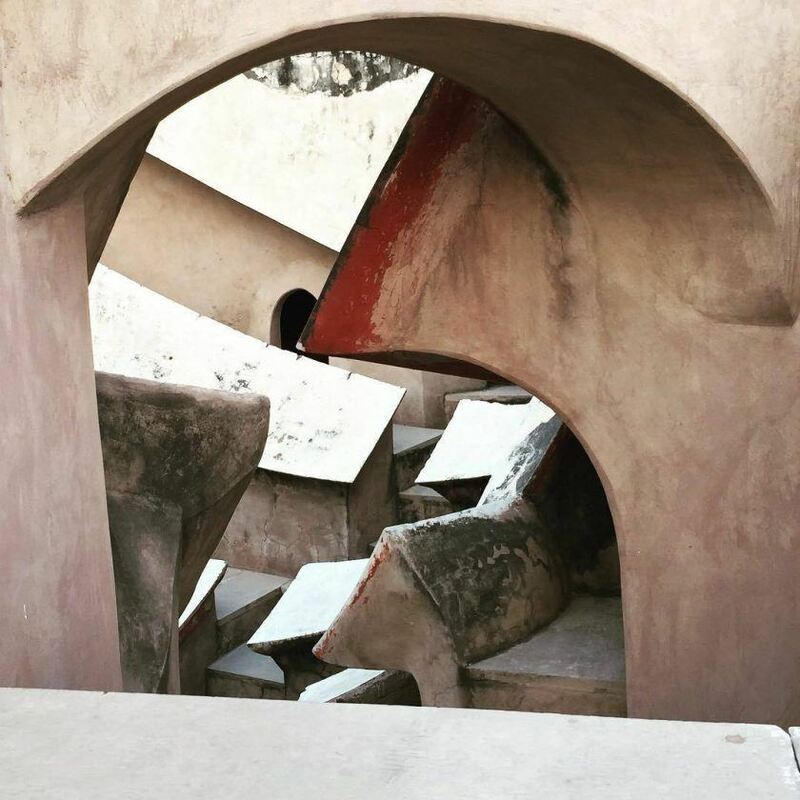 In 1949, the artist Isamu Noguchi photographed Jantar Mantar.